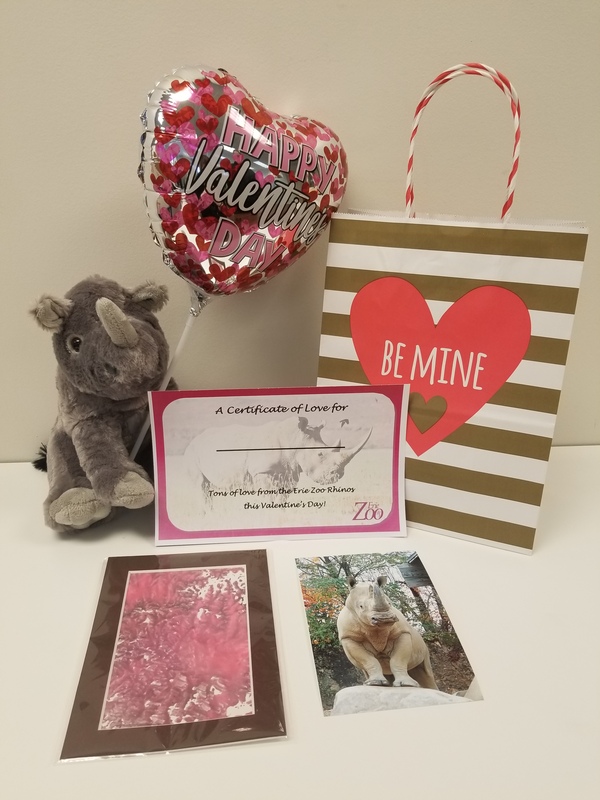 Give someone TONS of LOVE this Valentine's day from our Rhinos at the Erie Zoo. 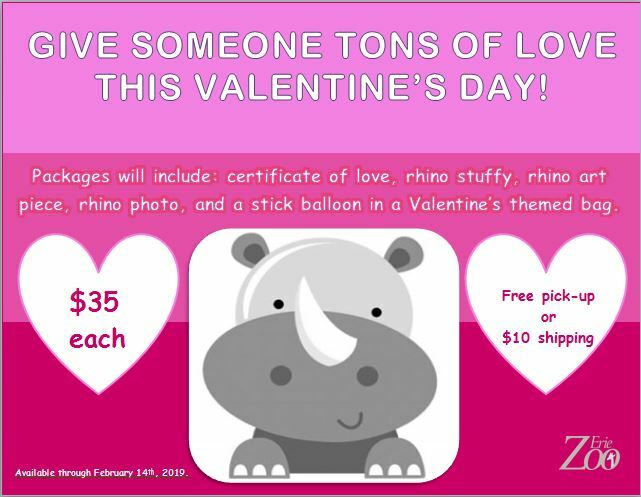 Packages are $35 each and include the following contents: certificate of love, rhino stuffy, rhino art piece, rhino photo, and a stick balloon all in a Valentine's themed bag. Shipping price is $10 per package, or pick-up from the Erie Zoo office from 8-4 pm is FREE! Packages are available for purchase through February 14th, 2019.